A rootin’ tootin’ DJ will spin Woody’s favorite tunes from a rustic toy set right in the heart of it all. Kids can go have some fun with activities like the Trick Ropin’ Toy, Make-Your-Own Toy Station, camp-style carnival games, and a larger-than-life balloon artist who can recreate their favorite Toy Story characters. And finally, at the end of the night, you’ll be invited out to the Porte Cochére to end the evening with a viewing of the famous Magic Kingdom Park nighttime spectacular. This limited-time event is happening for three nights only, July 4-6, from 6:15-9:15pm each night at Disney’s Contemporary Resort. Space is limited, so be sure to reserve your client's spot before it’s too late! Tickets are $149 for adults and $99 for children ages 3-9, tax and gratuity included. If you aren’t familiar with Disney After Hours events, they’re your opportunity to experience a Disney theme park for three hours after regular park hours, with limited attendance, which means little-to-no wait for attractions, experiences and character greetings. The event ticket also allows you early entry into the park, beginning at 7 p.m.
Magic Kingdom: May 2, 9, 16, 23 and 30. Disney’s Animal Kingdom: May 7, 14 and 21; and June 4, 11 and 18. Disney’s Hollywood Studios: May 1, 4, 10, 17, 24 and 31; and June 14, 21 and 28. May 1 – Celebrate Disney’s Hollywood Studios 30th anniversary with special anniversary merchandise, additional character greetings and more food & beverage offerings to purchase. May 4 – Celebrate May the Fourth dressed in your best galactic Star Wars attire. Experience Character Encounters including Chewbacca with REY, Darth Vadar, Kylo Ren with CAPTAIN PHASMA, Ewoks, Jawas and imperial stormtroopers. Plus, specialty treats available for purchase. *Be sure your costume fits within park guidelines. Tickets are now on sale for Disney H2O Glow Nights at Disney's Typhoon Lagoon, Water Park, as well as Mickey’s Not-So-Scary Halloween Parties and Mickey’s Very Merry Christmas Parties at Magic Kingdom Park. Disney H2O Glow Nights will take place only at Disney's Typhoon Lagoon on Thursdays and Saturdays from June 21-August 11, from 8-11 p.m. Tickets cost $55 for adults and $50 for children ages 3-9 (plus tax). Tickets are commissionable for the following dates: June 21, 23, 28, 30; July 5, 7, 12, 14, 19, 21, 26, 28; August 2, 4, 9 and 11. Mickey’s Not-So-Scary Halloween Party fills Magic Kingdom Park with spooky delights on select nights beginning Aug. 17, 2018. Returning party “treats” include the “Hocus Pocus Villain Spelltacular” stage show in front of Cinderella Castle, Mickey’s “Boo-to-You” Halloween Parade, “Happy HalloWishes” fireworks spectacular, candy and much more. Sept. 3, 7, 9, 11, 14, 16, 18, 21, 23, 25, 28, 30; Oct. 2, 4, 5, 8, 9, 11, 12, 14, 16, 18, 19, 21, 23, 25, 26, 28 and 30. Mickey’s Very Merry Christmas Party tickets start at $95 in advance or $105 at the gate, if available. Tickets are commissionable for the following dates: Nov. 8, 9, 12, 13, 15, 16, 25, 27, 29, 30; Dec. 2, 4, 6, 7, 9, 11, 13, 14, 16, 18 and 20. In anticipation of inclement weather associated with Hurricane Irma, please note the following event cancelations at Walt Disney World Resort. • Night of Joy at ESPN Wide World of Sports Complex has been canceled on Saturday, September 9, 2017. The performances on Friday, September 8 will take place as planned. Guests with tickets for Saturday are welcome to attend Friday’s event instead by exchanging their tickets at the ESPN Wide World of Sports Box Office after 4 PM Friday. Requests for a full refund for either event night will be honored. New Epcot Dessert Party Available Today! Starting July 17, 2017 there will be a new way to experience “IllumiNations: Reflections of Earth” at Epcot. Reservations open today, June 15, 2017, for the new Frozen Ever After Dessert Party, plus a special opportunity to enjoy the Frozen Ever After attraction! The party, overlooks World Showcase Lagoon and feature décor, drinks, desserts and snacks inspired by the beloved film, “Frozen.” Frozen Ever After Dessert Party Guests will have reserved seating. Specialty cotton candy lemonade or “melted snow” and other non-alcoholic beverages will be offered to Guests of all ages. Adults 21 years and older can enjoy alcoholic beverages such as a piña colada, margarita or “Summertime Punch,” a refreshing blend of prickly pear syrup, vodka, lemonade and ginger ale. The Frozen Ever After Dessert Party is $79 for Guests ages 10 and above, $47 for ages 3 to 9—tax and gratuity included. Reservations are now open for dates beginning July 17, 2017 and can be made by visiting DisneyWorld.com/dine or by calling 407-WDW-DINE. Tickets are now available for holiday party nights at Walt Disney World Resort! Special add-on dessert parties are available on select nights for Mickey’s Not-So-Scary Halloween Party this fall and Mickey’s Very Merry Christmas Party this winter. Dessert parties are now available at Magic Kingdom Park this holiday season. At Mickey’s Not-So-Scary Halloween Dessert Party, you can indulge in Halloween-themed eats, including chocolate-dipped strawberries, chocolate mousse, cupcakes, ice cream, seasonal fruits, cheeses and other ghoulish goodies created daily by Disney's master pastry chef. Specialty drinks, signature lemonades, coffee, tea and hot chocolate will also be served. This Magic Kingdom dessert party offers prime views of the Happy HalloWishes Fireworks Spectacular over Cinderella Castle. Mickey’s Not-So-Scary Halloween Dessert Party takes place select nights Aug. 29 – Nov. 1, 2017. Before the holiday fireworks, you'll discover a host of holiday-themed cupcakes and desserts prepared by Disney's master pastry chef, along with a buffet of sweet treats – like chocolate dipped strawberries, chocolate mousse, ice cream, cheeses and fresh, seasonal fruits. And raise a cup of good cheer with sparkling cider, signature lemonades, specialty Christmas drinks, hot chocolate, coffee or tea, and then marvel as the sky above explodes with color, music and lights! Both parties will be held at the Tomorrowland Terrace. The cost is $79 plus tax for adults; $47 plus tax for children ages 3-9. Magic Kingdom Theme Park admission is required. Tickets on sale now for Mickey's Very Merry Christmas Party at Magic Kingdom Park. Mickey’s Very Merry Christmas Party – Advance ticket prices starting at $89 for adults and $84 for children (3-9). Tickets can be purchased directly through your My Disney Experience account. Don't miss these agency-exclusive offers for Walt Disney World Resort hotels! Mickey’s Not-So-Scary Halloween Party will start earlier than ever in 2017, with parties running on Aug. 25 & 29; Sept. 1, 7, 10, 12, 15, 17, 19, 22, 24, 26 & 29; Oct. 1, 3, 5, 6, 9, 10, 12, 13, 15, 17, 19, 20, 22, 24, 26, 27, 29 & 31; and Nov. 1. The event will feature trick-or-treating, the Hocus Pocus Villain Spelltacular stage show, Mickey’s Boo-to-You Halloween Parade and Happy HalloWishes. Guests of all ages are also welcome to dress up for the party (check the park costuming guidelines here). Tickets can be purchased directly through your My Disney Experience account. Exclusive Resort Offers! Be sure to check out these agency exclusive offers for Walt Disney World Resort hotels! The popular Dapper Day will once again return to Magic Kingdom and Epcot April 29 and April 30, 2017. The event welcomes guests to dress up in sophisticated fashions while touring the Theme Parks. Read more about Dapper Day on the group's website and on their Facebook Page. Returning favorites for the holidays include Mickey’s Once Upon a Christmastime Parade, Holiday Wishes, A Frozen Holiday Wish and Mickey’s Most Merriest Celebration. Returning to the Magic Kingdom fright-fest are the Hocus Pocus Villain Spelltacular stage show in front of Cinderella Castle featuring the mischievous Sanderson sisters from the hit Disney film “Hocus Pocus;” Mickey's "Boo-to-You" Halloween Parade; and Happy HalloWishes. LABOR DAY 2017 - BEST OFFER OF THE YEAR! Special Extra Magic Hours Available to Disney Resort Hotel Guests. For a limited time, May 27-July 4, 2017, Guests staying at select Walt Disney World Resort hotels can explore Pandora – The World of Avatar beyond regular Park hours. Nightly Extra Magic Hours will take place from 11 p.m.-1 a.m. only in Pandora – The World of Avatar at Disney’s Animal Kingdom Theme Park. This offering will provide you with an additional opportunity to enjoy everything Pandora – The World of Avatar has to offer – including navigating a mystical river, flying on a back of a banshee and walking under floating mountains. Please note valid Theme Park admission and a Resort ID will be required. Star Wars fans take note! 7 p.m.–midnight on April 14, you could experience the power of the Force in a brand-new way during Star Wars: Galactic Nights at Disney's Hollywood Studios. During this first-of-its-kind Hollywood-inspired event, you can celebrate with an entire universe of unique entertainment, favorite attractions and Star Wars Characters. Special Guest Vanessa Marshall (the voice of Hera Syndulla from Star Wars Rebels), will even be on hand to host Inside the Saga: Celebrity Chat Show and take you behind the scenes of Rogue One: A Star Wars Story. Of course, there will be plenty of surprises in store as well. Tickets are $129 plus tax per adult (10+) and $124 plus tax per child (3–9). The official debut of BB-8 Catch BB-8 at Star Wars Launch Bay as he makes his Character Encounter debut. 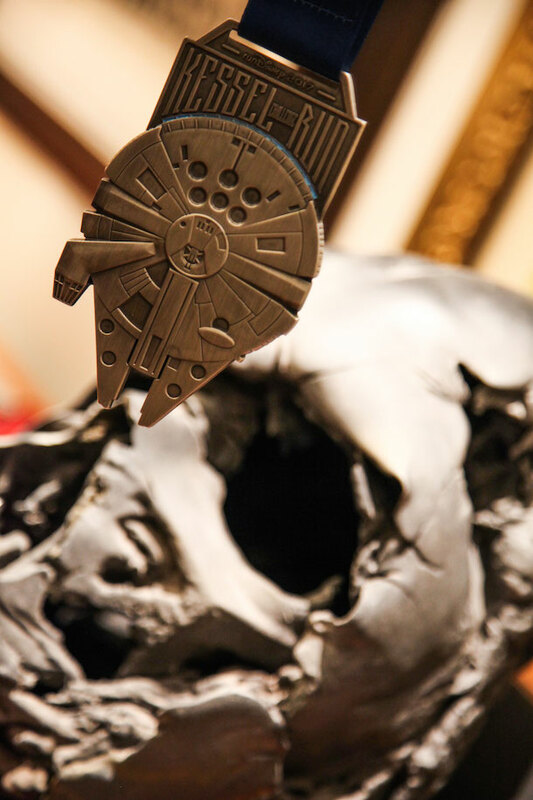 Seize the Saga Interactive Scavenger Hunt Collect Star Wars-themed pieces to reveal a surprise! Star Wars: A Galactic Spectacular Watch the night sky come to life with thrilling fireworks. Celebration at the Top, a new dining event coming to California Grill at Disney’s Contemporary Resort at Walt Disney World Resort, allows you enjoy the Magic Kingdom Park fireworks from an intimate and private observation deck. Celebration at the Top Guests can check in at California Grill an hour before fireworks. After being whisked up to the California Grill, which sits on the 15th floor of Disney’s Contemporary Resort, you'll be taken to a banquet room to enjoy a selection of sushi rolled by the expert California Grill sushi chefs, a selection of flatbreads and other small plates. A complimentary bar offering craft beers, California wines, cordials and coffee will also be available. Just before the fireworks begin, you will be lead to a private observation deck on the roof of the Contemporary Resort, which offers stunning views of Magic Kingdom Park and the fireworks. After you can return to the private room for dessert including decadent chocolate confections and fruit tarts. Reservations for Celebration at the Top are now open for select Sunday evenings from Feb. 26-April 16, 2017. Cost is $99 per person, plus tax and gratuity. Over the six weekends of the festival, beginning Jan. 13, 2017 at Walt Disney World Resort, you can sign up for interactive workshops like the Gesture Drawing Class, led by former Disney animator Todd Bright. Gesture drawing of people is foundational practice for animators, storyboard artists, and directors. A single drawing tells a story. Todd’s Story Telling Drawings class will teach you the art of quick sketching from life. Other select workshops include watercolor painting, mixed media art, calligraphy and floral arrangements. The Interactive Workshops are $39+tax each Friday-Monday of the Festival. Also available are meal and performance combos: a breakfast, lunch or dinner, followed by a Disney on Broadway inspired concert – nightly during the Festival from Jan. 13 – Feb. 20, 2017. The concert series will pair Broadway talent with favorite songs from award-winning Disney shows such as “The Lion King,” “Newsies” and “Aladdin”. The Dining package includes a three-course meal or full buffet and priority seating at the 8:00 p.m. concert at participating Epcot restaurants. Prices range from $39-$69+ tax for adults, $23-$41+tax for children. The festival runs Fridays through Mondays starting Jan. 13–Feb. 20, 2017. Star Wars Half Marathon – The Dark Side & Dark Side Challenge: Register now to earn one of the medals, coming April 20-23, 2017, at Walt Disney World Resort in Florida. Magical Vacations Travel Exclusive Offer available for the Star Wars Half Marathon. This New Tour is A Must-Do for Star Wars Fans! From a gala dine-around at California Grill high atop Disney’s Contemporary Resort to celebrations around World Showcase at Epcot and waterfront at Narcoossee’s at Disney’s Grand Floridian Resort & Spa, there are lots of ways for you to ring in the New Year at Walt Disney World Resort. With spectacular views of the Magic Kingdom Park, this dine-around style gala features cooking stations throughout the restaurant. Plus, a host of favorite Disney Characters will make appearances. The event takes place from 7:30 p.m.-midnight. The price is $650 per person. A luxurious evening in this AAA Five Diamond restaurant features gracious “butler-style” service, live harp music and personalized menus to remember the special evening. Seatings are available between 6-7:45 p.m. The price is $600 per person. This all-you-care-to-eat extravaganza is a real family affair featuring photo ops with fun vignettes for posing (but no Disney Characters) and Disney tunes. Seatings are available from 3-9 p.m. The cost is $72.90 for adults and $44.38 for children (ages 3-11). And, later in the evening, you can head out to the promenade for fireworks over World Showcase Lagoon to welcome 2017. In the elegant upstairs dining room at the France pavilion at Epcot, you can feast on a four-course, prix fixe menu of classical French cuisine. Six seatings are available on New Year’s Eve: 11:45 a.m., Noon, 2:15 p.m., 2:45 p.m., 5:45 p.m. and 6:15 p.m. The price is $110.81. Plus, a special late-night dinner with two seatings are available at 8:45p.m. and 9:45p.m. The price is $305.03. Located at Disney’s Grand Floridian Resort & Spa, this generous four-course menu is offered with seatings between 5 and 5:45 p.m. A five-course menu is offered with seating from 8:30-9:25 p.m. for a late-night celebration with live music. The first seating $150 for adults and $70 for children ages 3-9. The second seating is $255 for adults and $95 for children ages 3-9. Special Weather Statement From the Walt Disney World Resort and Hurricane FAQ. Walt Disney World Resort is currently operating under normal conditions as we continue to monitor Hurricane Matthew. Recent forecasts indicate that there could be rain and wind in the Central Florida area as early as Thursday evening, Oct. 6, 2016. What does it mean for my vacation plans if a hurricane warning is issued within 7 days of my arrival date? If a hurricane warning is issued by the National Hurricane Center for the Orlando area—or for your place of residence—within 7 days of your scheduled arrival date, you may call in advance to reschedule or cancel your Walt Disney Travel Company Magic Your Way vacation package and most room only reservations (booked directly with Disney) without any cancellation or change fees imposed by Disney. If you have products and services provided by third-party suppliers included in your vacation—such as airlines, hotels, car rental agencies or vacation insurance companies—you will continue to be responsible for any non-refundable payments, as well as cancellation or change fees assessed by those suppliers. The policy does not apply to certain special events or dining experiences. Will I be responsible for any cancellation or change fees or other amounts if a hurricane warning is issued within 7 days of my arrival date? If you are scheduled to arrive within 7 days of a hurricane warning, you may call Disney in advance to reschedule without a Disney imposed change fee. Disney cannot guarantee availability of similar accommodations for the new travel dates. All amounts you paid to Disney for rooms, theme park tickets, dining plans and other Disney products and services will be applied toward your new reservation. Only if an identical special offer is available for your rescheduled vacation dates. All amounts you paid to the Walt Disney Travel Company for rooms, park tickets, dining plans and other Disney products and services will be applied toward your new reservation. Any discounts or special offers applicable to your original confirmed vacation may not apply to the rescheduled vacation travel dates. You are responsible for applicable package pricing for the new vacation dates. This policy does not apply to certain special events and dining experiences. If you booked your air travel through the Walt Disney Travel Company and you want to reschedule, Disney will attempt to rebook your air travel. However, you will be responsible for any cancellation or change fees imposed by the airline. If you did not book your air travel through the Walt Disney Travel Company, you should contact your airline. You should contact your Travel Agent directly for information relating to the cancellation and change policies that apply to your package. If a hurricane warning is issued within 7 days of my arrival date and I have a sports or group package, does the Walt Disney Travel Company hurricane cancellation policy apply to my package? No. The policy only applies to Walt Disney Travel Company Magic Your Way Packages. It does not apply to sports, youth, or other group or special event rooms or packages and does not apply to meetings and conventions. Discover why the Persian Resort and many other projects were scrapped in a live show with Jim Hill and Len Testa in, "The Disney That Didn't Get Built" coming November 12, 2016 to New York. New York: Attend a live recording of "The Disney That Didn't Get Built" with Len Testa and Jim Hill on November 12, 2016. "From the Persian hotel resort on Bay Lake back in the 1970s, to the Spain pavilion at World Showcase in the 2000s, and lots of interesting examples in between, you’ll hear what was supposed to happen–and why it didn’t." Cost is $60 per person. Contact E.T.C Custom Events for more information and to register. E.T.C is also offering a kids' activity corner with age-appropriate, curated activities for kids 8 and up for $10 per child.